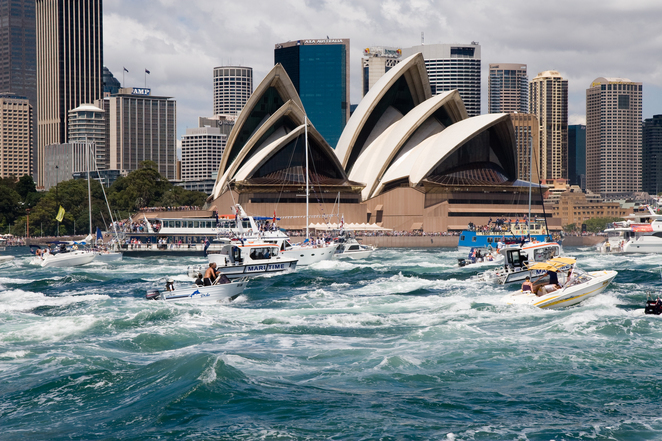 Celebrate our National Day with these Australia Day free events that are guaranteed to keep everyone entertained! Where: Sydney Harbour, please see website for location details. Details: The world's most beautiful harbour is celebrating Australia day with several events throughout the day ranging from parades, cruising concert, tall ships race, Indigenous Ceremony, ferry races, swim series final and plenty more. Click here for full schedule list. Details: Hyde Park will come alive and transform into a Summer Playground for the little ones. There will be plenty of things to see and do ranging from television characters, free activities, face painting, interactive zones, Citizenship Ceremony and plenty more. For more information click here. Details: Free music performances, markets – locally- designed fashion, jewellery, original art, mouth-watering food and more, performances and plenty more. For more information see website. Details: Get all wiggly with Australia's biggest, brightest and wiggliest entertainment group. This free Australia Day concert is guaranteed to be fun for the whole family! Register for free tickets here. Details: Bring the whole family and enjoy a fun-filled Australia day with live entertainment, food stalls, rides, Citizenship Ceremony, kids entertainment, roving performers, community bazaar, face painting, craft workshops, fireworks and plenty more. For all information including parking click here. Details: With plenty of things to see and do these events are guaranteed to entertain the whole family from the stunning display of hot air balloons, aerial carnivale, amusements rides, plenty of food, hoopla, circus tricks, Big BBQ, food stalls, performances and entertainment, kids arts & crafts, eco workshops, native wildlife displays, special performances by the Wiggles and The Voice finalist Sarah De Bono and headliner Timomatic, fireworks and plenty more... For more information, including getting here and parking info click here. Details: Celebrate Australia Day with a host of variety of activities and free entertainment. Koshigaya Park will host the Citizenship Ceremony and announcement of Australia Day Award winners (from 8:30am- entertainment commences at 4pm), carnival rides, market stalls, fireworks display, stage entertainment and plenty more, Hallinan Park will be filled with activities ranging from free games, free morning tea and BBQ as well as Citizenship Cermony and plenty more. Details: Live performances including Dora the Explorer, Liverpool Choir, Clown Magic show, kids activities, food stalls, amusement rides, local and mainstream performances, fireworks display and plenty more. Details: Celebrate Australia Day with family and friends with entertainment and activities at Cronulla including fireworks display. Details: Enjoy a free day out celebrating Australia Day with amusement rides, parachute jump with the largest flag in the Southern Hemisphere, activities, live performances including performances by Darren Percival and The Collective, and of course fireworks display. The Rooty Hill is a 10 minute walk from Rooty Hill Train Station or can be accessed by car via Eastern Rd, Rooty Hill – please note there is limited parking. Details: With attractions galore to keep the whole family entertained, with free amusement rides, petting zoo, face painting, sand sculpting, food court, live performances including Ricki Lee, fireworks display and plenty more. Do not forget to bring the picnic rug! There is free parking at Flinders Slopes and is within walking distance to the event.